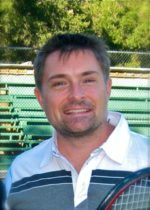 Early in my career I was the Head Tennis Professional at a prestigious AAA Five Diamond resort in southern California. I worked for this tennis club and resort for 10 years. As you can imagine, we regularly had insightful customer service training. That’s because our valued customers paid a healthy sum to visit the club, so our skills needed to be sharp with a customer-centric atmosphere at all times. To achieve customer satisfaction, our employees have the authority to act as is they own the company. There’s no such thing as taking too much time with any customer. Talking face to face is mightier than the phone which is mightier than the pen which is mightier than email. If it doesn’t feel right, make it right. The job isn’t done until it’s done right. A mistake is not just a mistake – it’s an opportunity to improve our business!